of Friars Lane, Richmond, Surrey. Telephone: Hounslow 2361. 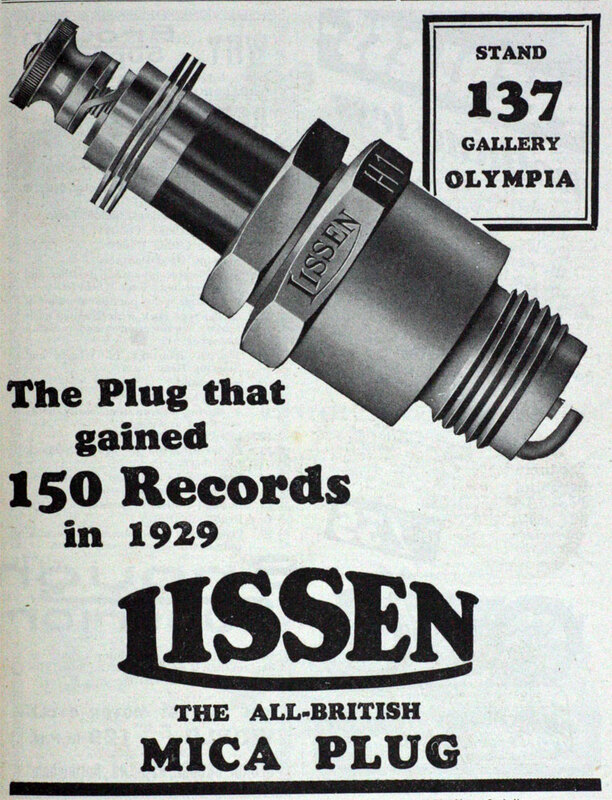 Cables: "Lissenium, Phone, London"
1922 Company founded by T. N. Cole. 1923 Incorporated as private company . 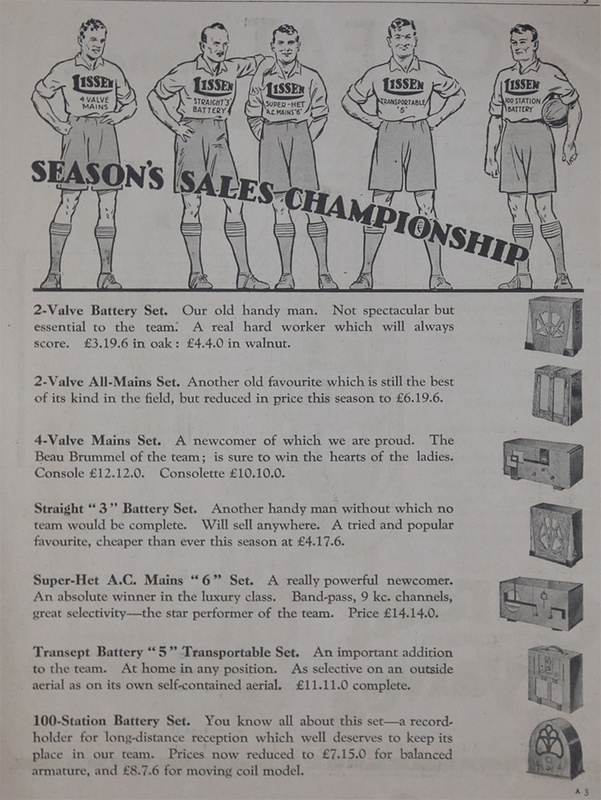 1924 Manufacturer and retailer of parts for radio receivers including audio transformers, variable resistances and rheostats (1924 Advert). 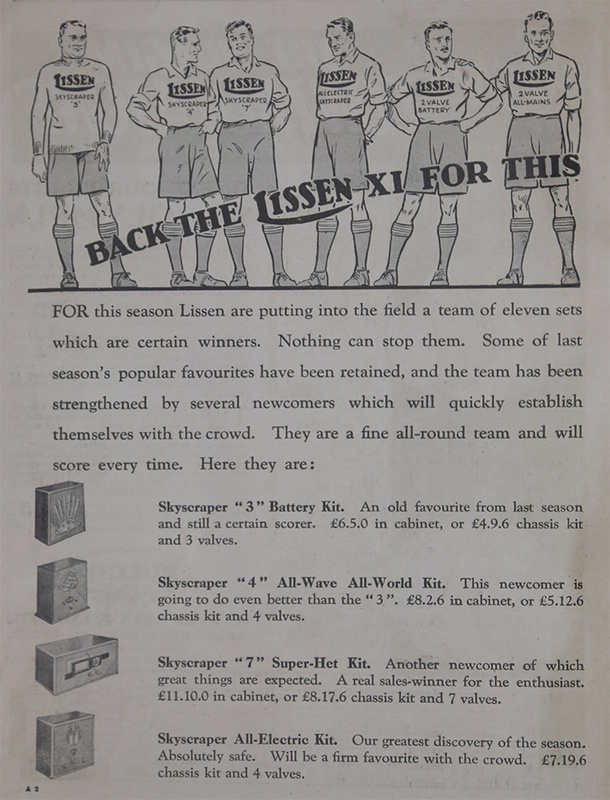 1928 Lissen had three large and well equipped factories in London with 2800 employees which made wireless sets, batteries and other components, as well as a "number of articles in different trades". 1928 Ever Ready Trust and Finance Co assisted Ever-Ready with purchase of shares in Lissen Ltd. Retained T. N. Cole as managing director. 1930 AGM of Ever Ready Trust and Finance Co was told that it had never been the intention to maintain the large holding in Lissen Ltd but that current market conditions precluded a flotation. 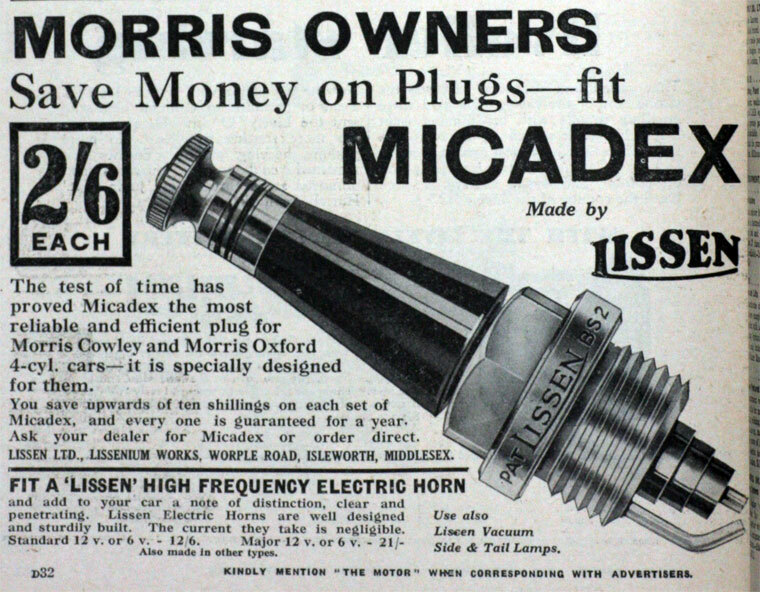 1930s Started production of thermionic valves. 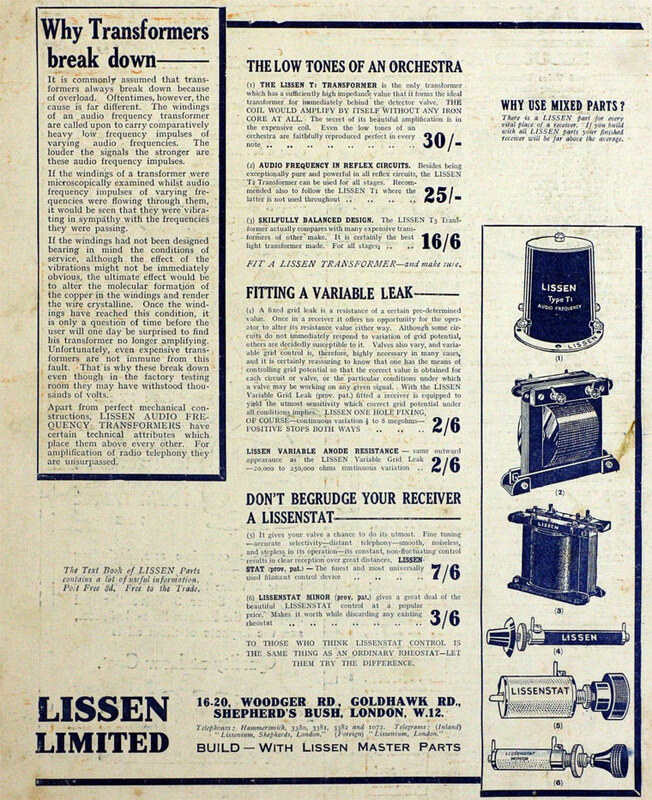 1931 Register of New Companies showed Lissen Ltd, manufacturers and dealers in wireless apparatus and accessories. This was incorporated to take-over and carry on the business of a private company of the same name. 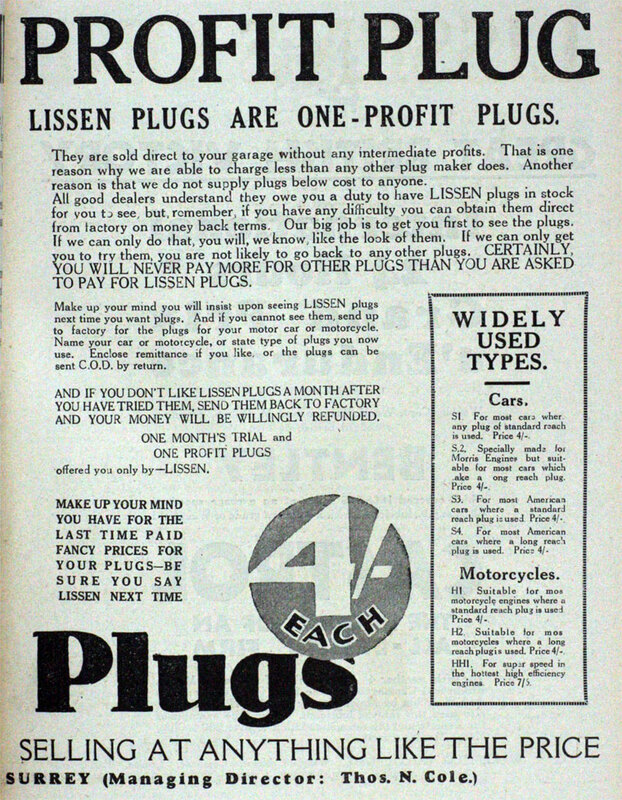 1933 Trading profits had increased substantially in the past year; a new factory had been purchased; the Ever Ready Trust Co intended to sell its shares in Lissen Ltd, which sale was announced 2 weeks later. Ever Ready Trust Co would retain 20% of the shares it previously owned; the rest being offered for sale. T.N. Cole was managing director, Marcus Goodfellow chairman. 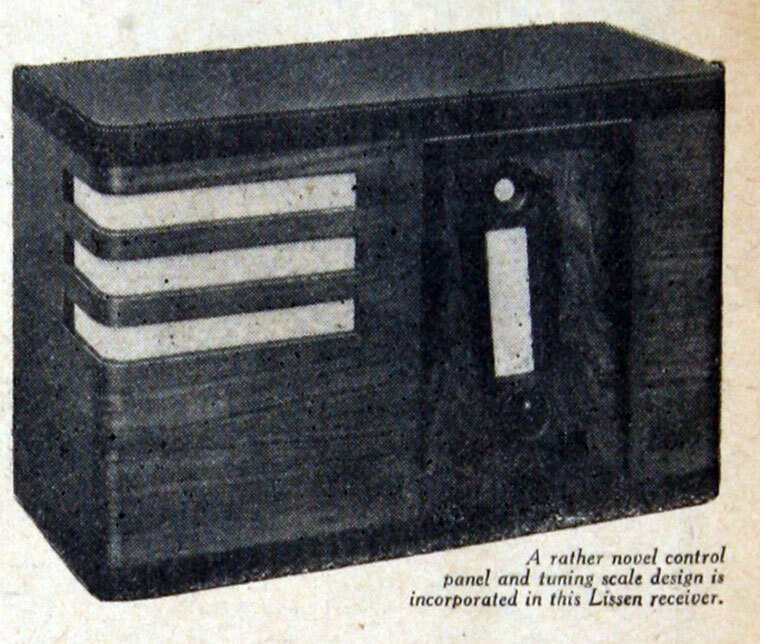 The company manufactured a wide range of products included complete radio receivers, separate components for home constructors, kits, primary batteries, power units, valves, gramophones, goods for the motor trade including spark plugs and automobile lamps. Also there was a contract department for carrying out work for multiple chain stores and various industries. 3000 employees. 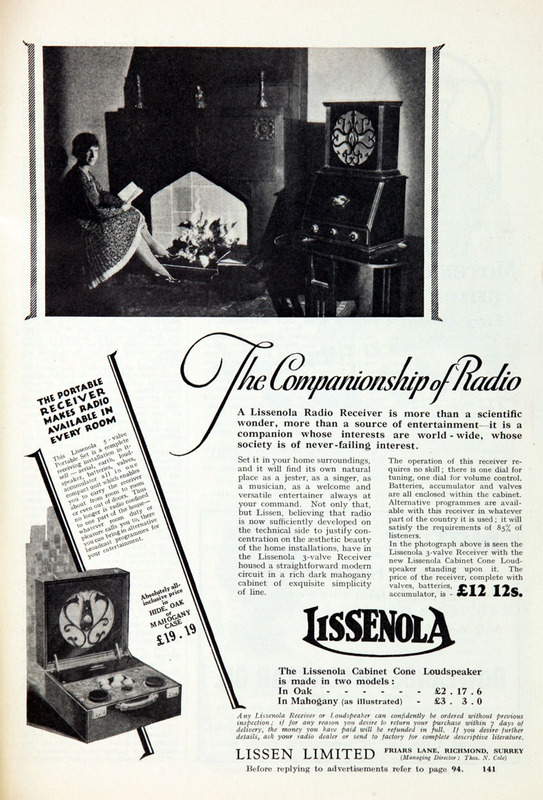 Home construction of radio receivers was, for a time, a popular hobby; although it is likely that any savings made by such home building were more apparent than real, thousands of enthusiastic amateurs built Lissen kits - as well as other makes, such as Cossor. 1933 June: T.N. Cole gave an undertaking to Ever-Ready; it would seem that, as part of the deal with Ever Ready, Cole would remain as Managing Director but for 10 years would not get involved in any business venture that would be in direct competition with Lissen Ltd.
By 1934, Lissen of Edmonton, London and Isleworth, Middlesex, had become a popular name - both for the production of factory-made sets as well as their range of kits for home construction. 1934 From 1 February, Ever Ready Co (Great Britain) were appointed managers of the business. This is presumably the moment at which T. N. Cole left the business. It would seem he set up the Vidor battery company. 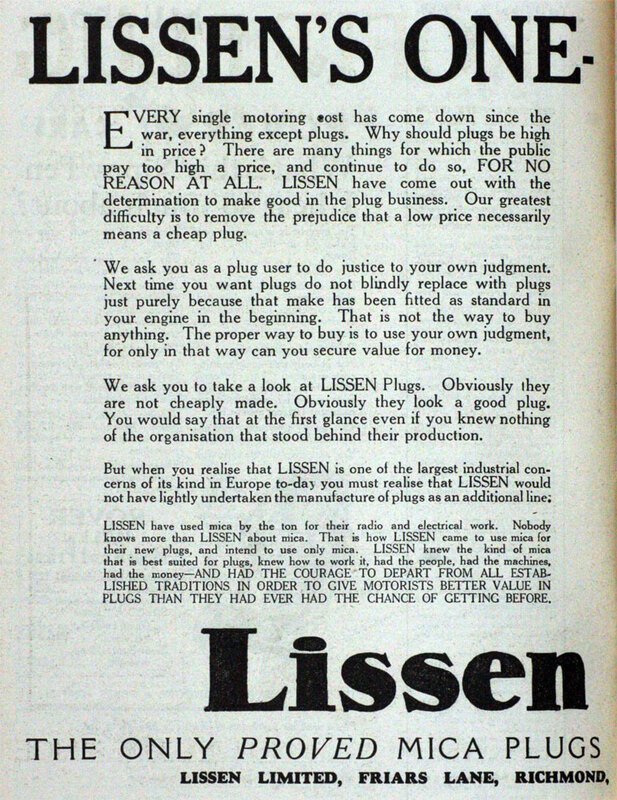 Soon after Ever Ready Co (Great Britain) made a public issue of shares, to acquire most of the remaining Ordinary shares of Lissen Ltd.
1936 Ever Ready Co (Great Britain) made an offer to the holders of Preference shares in Lissen to convert their shares into Ordinary shares of Ever Ready, which already owned virtually all of the Ordinary shares of Lissen. Offer accepted by over 90% of holders so the others could then also be acquired. Thus Lissen became part of Ever Ready. WW11: The Lissen factory at Islington was still in production at the beginning of the war, when it obtained a Ministry contract to assemble and repair "Comfort Sets" for the armed forces. In 1941 the factory was destroyed in an air raid. Initially manufacturing began again at Amersham, Buckinghamshire, but the buildings were too small and unsuitable for this kind of use. Space was found initially at Ever-Ready's Canal Works. 1948 Voluntarily wound-up in December.